$60. 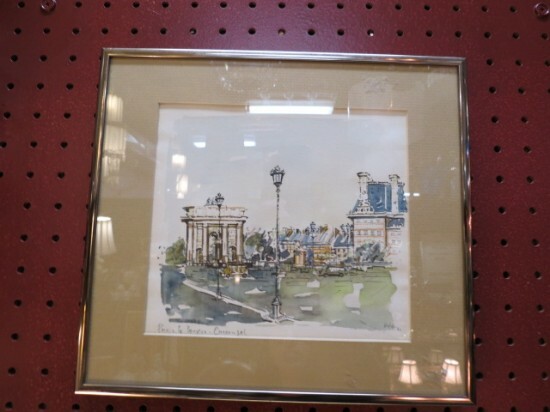 Vintage mid century modern Paris street scene watercolor. Soft colors of green, cream, brown, blue. Signed. Soft brown/gold mat and gold metal frame. Perfect for your gallery wall. Excellent condition. 11in wide, 10in tall.